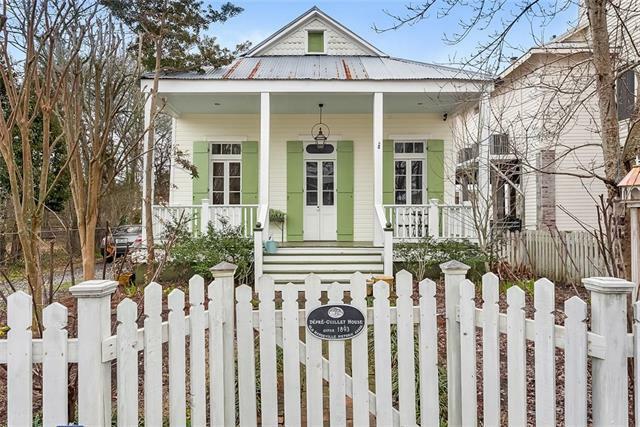 Quaint cottage in Historic Old Mandeville. 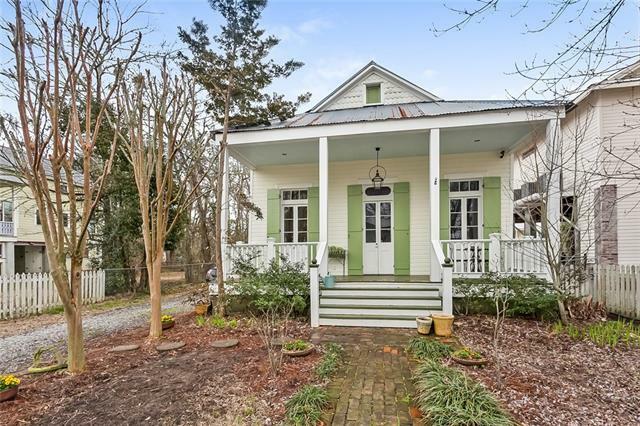 4 houses from Lakeshore Dr. w/antique Cypress doors, heart pine flooring, 11' ceilings & original wd siding walls. Updates in Kitchen w/farmhouse sink, Hardiback siding, Insulation, rewiring & Guest house built (not complete) & more. Lg yard w/winter views of Lake, iron fence & gate. 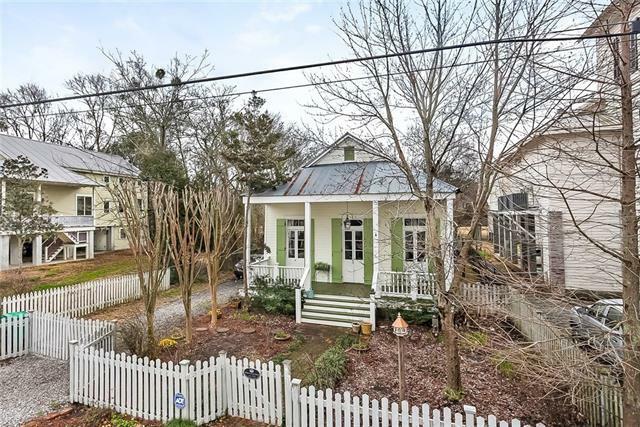 Could rent out guest cottage or use as private office/Boomerang suite. Flood Mitigation grant is approved & will cover 75% costs to elevate. Come relax & enjoy the best of Mandeville! 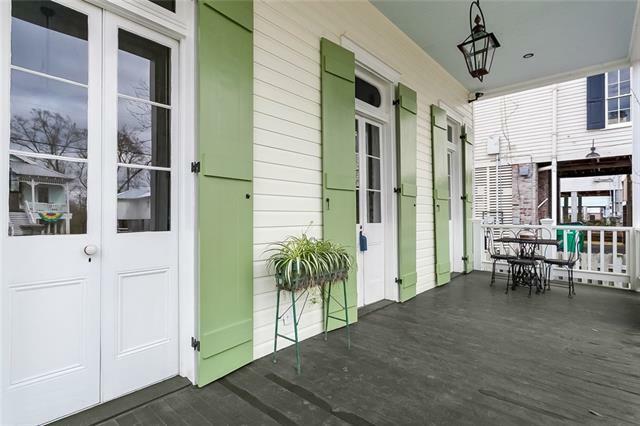 Listing provided courtesy of Karin L Crosby of Latter & Blum Inc/Realtors.